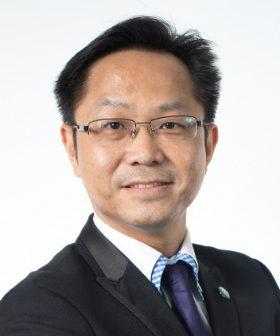 Mr. Dennis Lee is the Senior Vice President of KBQuest Hong Kong Limited, currently managing the ICT solution development operations, customer services delivery & engagement. Prior to this, Dennis has served as the Senior Manager – ICT Cluster of the Hong Kong Science and Technology Parks Corporation. He has extensive years of ICT management experience, having held ICT management positions in a number of well-known multinational listed companies such as Barclays Group, Motorola, Saatchi & Saatchi, iBasis Inc. and a few software houses and systems integrators specialized in providing enterprise management systems, business intelligence and the Cloud computing software services consultancy. Being the Life Fellow member & the Council Director of Professional Development – Hong Kong Computer Society, Mr. Dennis Lee is very active in the professional development & community services: like the Chief Assessor & Judging Panel of the HKICT Awards, the member of HKCS IT Summer Camp Organizing Committee, the former Chairman of the Electronic Business Special Interest Group, the founding Chairman of the former Cloud Computing Special Interest Group (reformed Enterprise Architecture SIG in 2018), and the founding Chairman of the Smart City Special Interest Group. Mr. Lee obtained his MBA degree from the University of Abertay Dundee UK and a MSc Information Systems degree from the City University of Hong Kong. More recently, he is pursuing a part-time engineering Doctoral research degree in the Hong Kong Polytechnic University.